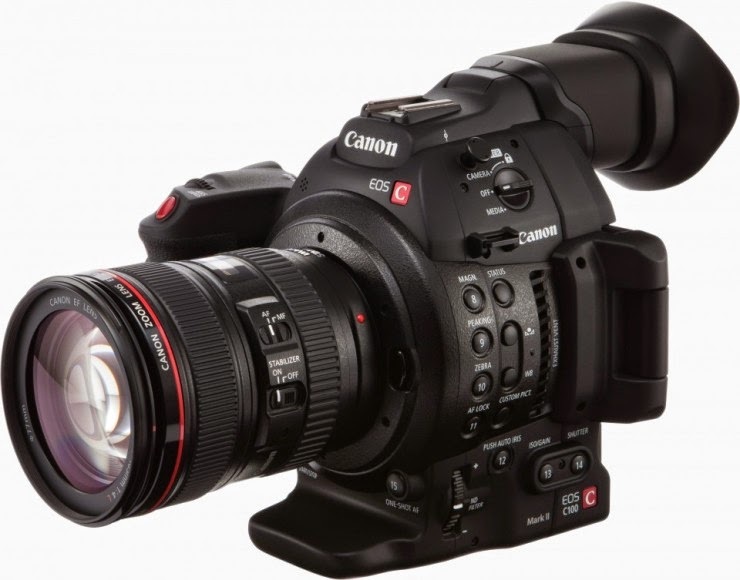 I'm not going to go into detail... there's more than enough on news sites out there, but Canon's new version of the C100 has to be the best bet if you don't need 4K, but you have a collection of EOS lenses. Nice ergonomics, 50/60 fps slow mo, and a much better screen and viewfinder. The C100 always struck me as the best bargain of the EOS range, especially when you team it up with an Atomos Ninja Blade.. it'll give you the same results as the C300. The Mk2 version has added internal recording of MP4 files at 35MBps too, so it's usable for some stuff as it stands. The extended iso range is interesting - i wonder how it's low light performance will be affected? Built in Wi-Fi and remote control options - ipad control possibly?